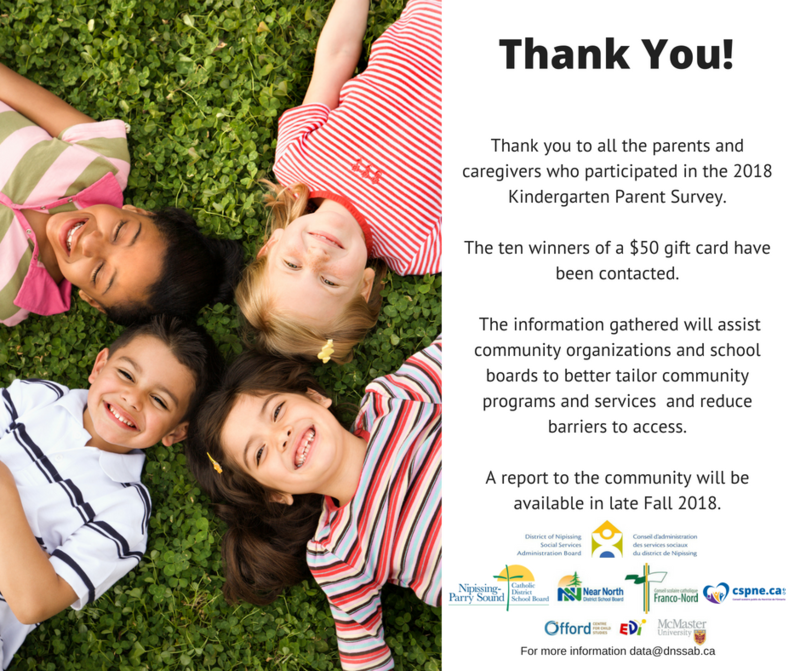 Thank you to all the parents and caregivers who participated in the 2018 Kindergarten Parent Survey. The ten winners of a $50 gift card have been contacted. The information gathered will assist community organizations and school boards to better tailor community programs and services and reduce barriers to access. A report to the community will be available in late Fall 2018.